A recently deceased girl must solve her own murder in order to escape purgatory.Sixteen year-old Echo Stone awakens in a cold sweat in a dark room, having no idea where she is or how she got there. But she soon finds out she’s in Middle House, an orphanage filled with mysteriously troubled kids. 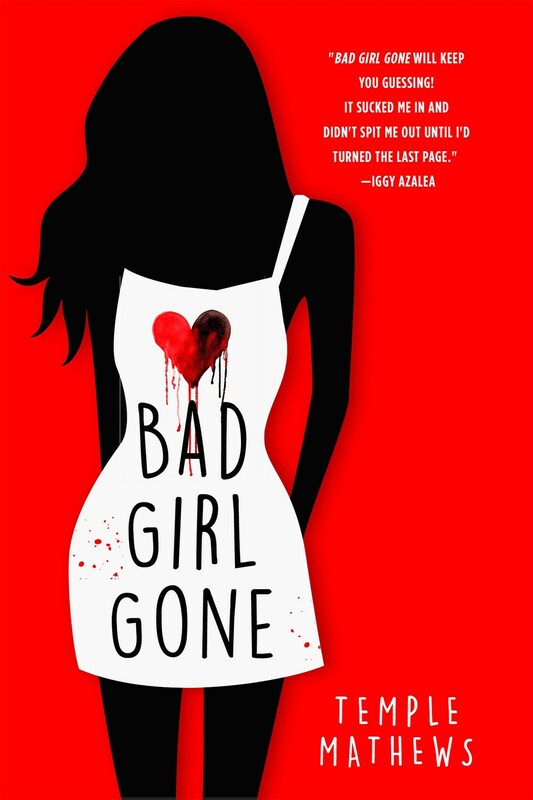 Temple Mathews' BAD GIRL GONE is a young adult, paranormal ghost story featuring 16 year old Echo Stone. Echo wakes up in a place called Middle House. She has been told it is a place for orphans, but Echo isn't an orphan. She has a mother and father, and is out to prove everyone wrong. Especially the rude and obnoxious teens who taunt, and make her life a living hell upon her arrival. Echo flees from the House, and makes her way home. After arriving home, she discovers crime scene tape. Something bad definitely happened here, but what? Echo learns that she has ended up in Middle House (purgatory). It's a place for those who have been murdered to find their own brands of justice before moving on to the next plane of existence. Those who are murdered, including Echo, have zero memories of what happened to them because their soul consciousness shattered. When people die a normal death, they are surrounded by loved ones. Usually. The path from mortal life to the next life therefore is much easier. But, when you are murdered, killed in cold blood, it's radically different. Everyone at the Middle House has experienced trauma. Everyone is looking for the person who killed them. Nobody can move on until that happens. The kids at Middle House are called in-betweeners. They're not exactly alive, nor are they completely dead. They just haven't moved on yet to the final phase until they are able to resolve their issues. Echo decides to join a group of kids including Cole, Lucy, Darby, Mick, Cameron, Zipper, and Dougie as they seek out revenge against those who killed them. The mystery behind Echo's death and who she was as a person while she was alive, comes after she checks off suspects one by one. Who would have any reason to kill Echo? What really drove the killer to murder Echo in cold blood? Was it something that Echo herself did? The biggest complaint I have about BAD GIRL GONE is the dreaded love triangle. Echo is absolutely obsessed with her very much alive boyfriend Andy. The same Andy who has fallen into a deep dark place and can't move on. She refuses to let go of him even though she is no longer alive and he is. Even though there is someone who understands what she's been through right in front of her. The most interesting aspect of this story was the special powers that those who have been murdered are given. Echo's is pretty cool actually, and no I shan't spoil it for you. The other aspect is the idea that these kids can't move on until they uncover who killed them. Would you call this vigilante justice, or justice served on a cold plate? TEMPLE MATHEWS is an author and screenwriter with several films to his credit, including Disney’s Return to Neverland, The Little Mermaid 2: Return to the Sea, and Mickey’s Once Upon a Christmas. He wrote Aloha Scooby Doo for Warner Bros. and Picture This for MGM. He is also the author of the The New Kid trilogy. I like ghost stories but it looks like it could have been more there. Ack, darn those love triangles. Other than that though, this really doesn't sound like a bad read and it's something a bit different if nothing else. Wonderful review Shelley! Eh...this one sounds like a decent read if you know what you are getting into and are in the mood for it.